Exceptional legroom and loadspace. High level of standard equipment. Affordable running costs. Available as a seven-seater. Van-like cabin will not be to everyone's taste. Lots of body roll in the corners. Some versions such as petrol Puretech 130 EAT8 not available until 2019. 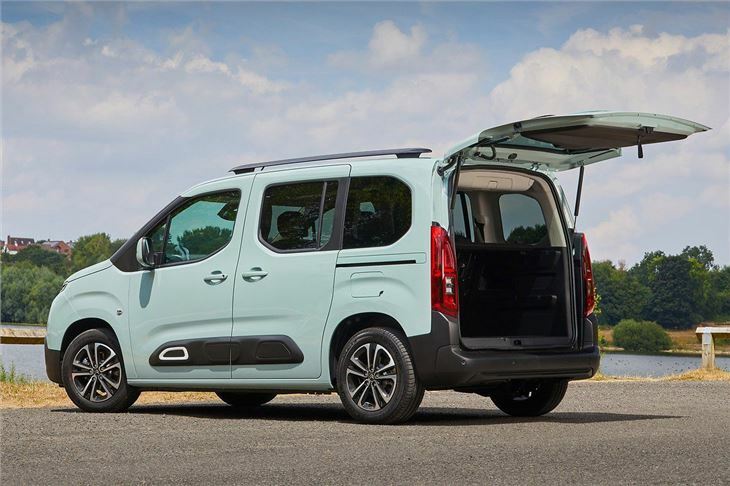 The Citroen Berlingo MPV is a great family car that delivers space, comfort and a well-thought-out interior at a price that most people can afford. Car snobs will undoubtedly sneer at its curious design and van-origins, but their loss will be your gain. 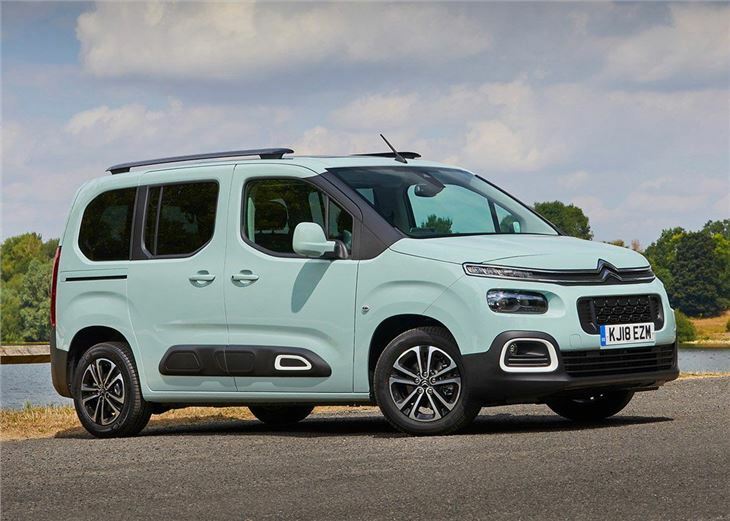 Like its Multispace-badged predecessors, the Berlingo MPV (as it's now called) is based on Citroen's popular van, which means it's designed to cover huge distances at the lowest possible cost. 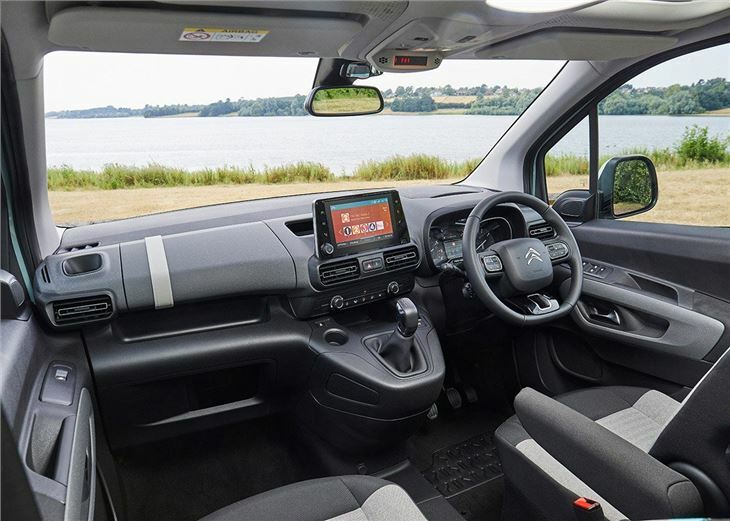 However, unlike the noisy and low-thrills Multispace window vans, the Berlingo MPV gets more car-like tech and better soundproofing. 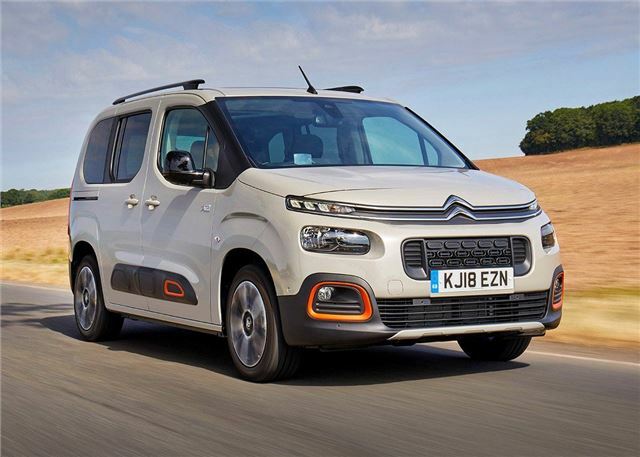 Running costs are van-like and affordable, with the 1.5-litre BlueHDi diesels advertised with 64 to 69mpg, while the 1.2-litre PureTech petrols promise more than 50mpg. You also get the option of a six-speed manual or eight-speed torque converter auto. Being a van, the Berlingo gets two side sliding doors as standard, which makes it easy to get people, pets and large objects in and out. Usefully, each seat can be independently folded to provide a flat floor. 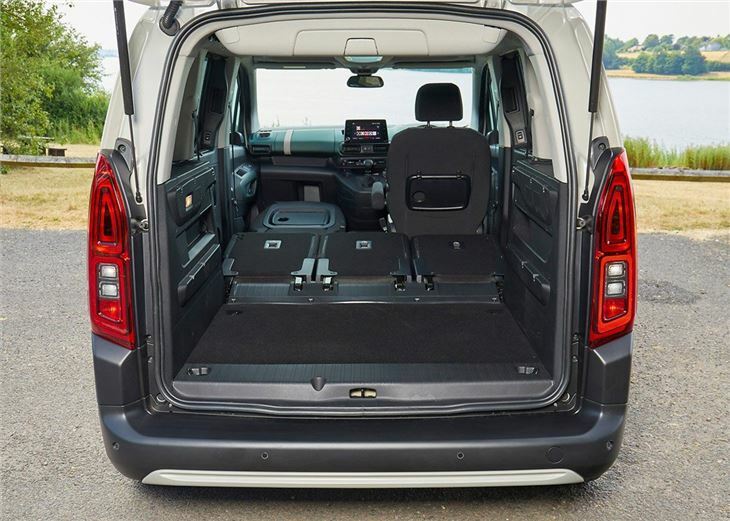 Unfortunately the rear tailgate is heavy and awkward to use in small spaces, like multi-storey car parks, but the optional tailgate window goes some way to solving this problem. Available as a five or seven-seater, the Berlingo leaves its car-based rivals in its wake when it comes to comfort and practicality, with the largest versions offering 4000 litres of load space. The high roof and wide body provides lots of head and shoulder room for five adults across two rows. 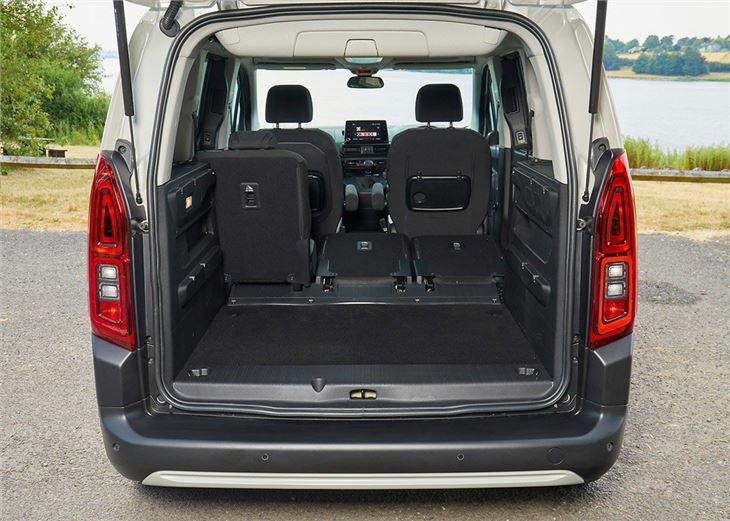 A third row of seats gives the Berlingo school bus practicality, while the second row gets three Isofix child seat mounts as standard. An unobstructed floor in the front means driver and passenger can get out either side. On the road, the Berlingo MPV drives surprisingly well, given its plump dimensions. The steering is light and nicely weighted, while the mid-range diesels strike a nice balance between performance and economy. 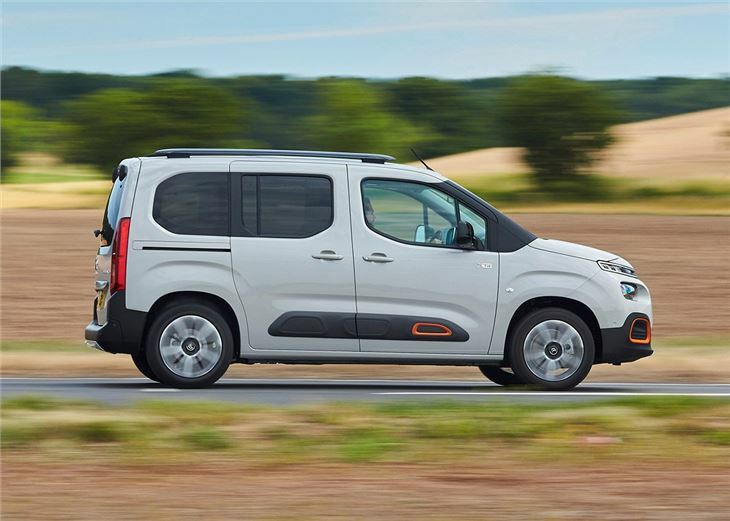 The standard fitment of cruise control, active lane assist and speed sign recognition also make the Berlingo easy to use on long motorway runs. 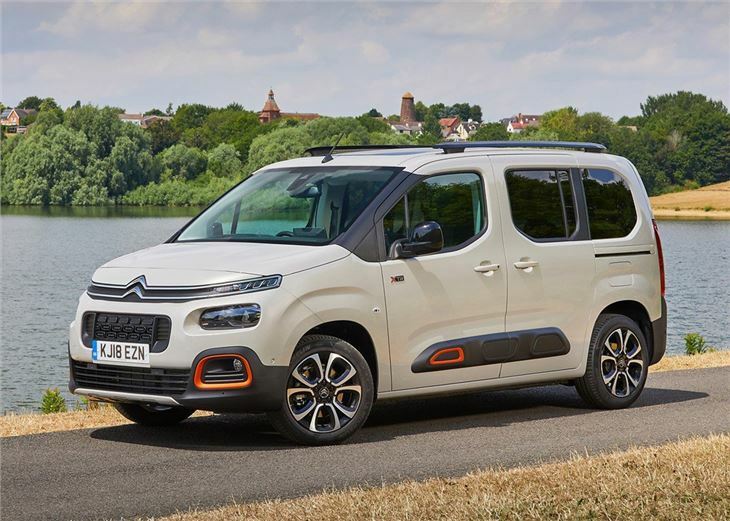 It might not win any admiring glances at the local golf club, but the Citroen Berlingo MPV delivers where it matters with its high levels of standard equipment and comfortable cabin making it a hassle-free daily driver. 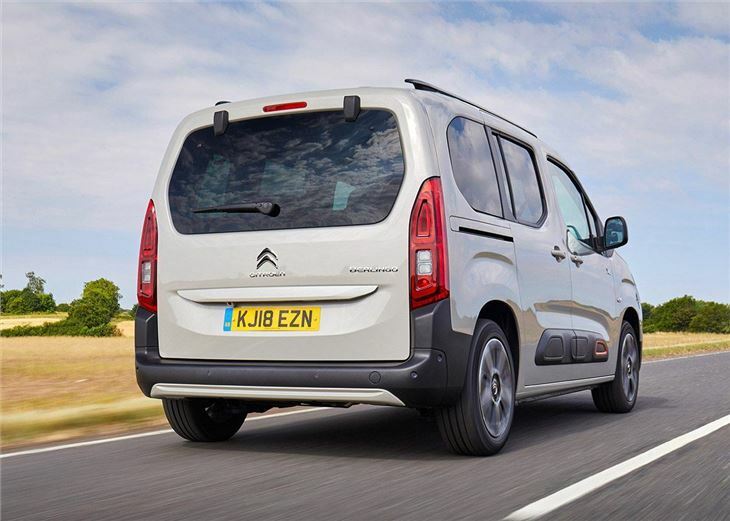 Add in its low fuel costs and affordable list price and the Berlingo MPV shines as a bit of a bargain.